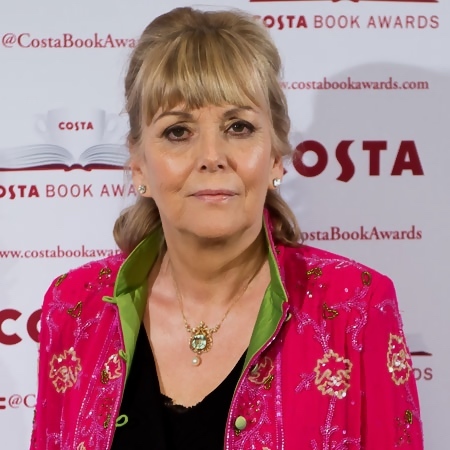 Note: Kate Atkinson was WINNER of the Whitbread Book of the Year Award for her first novel, Behind the Scenes at the Museum (1995), and was twice WINNER of the Costa Award, its renamed successor, for Life After Life (2013) and A God in Ruins (2015). “Chatter and gossip, a lot of it, yet somehow more alarming because of that. The willingness of seemingly ordinary people to bring any scrap of information [to the Gestapo] if they thought it would help the enemy cause. The main characters in this cast of perfidy…[all] reported on a myriad others, filaments in an evangelistic web of treachery that stretched across the country.” – description of British Fascism, 1940. As if this scene of a woman, Juliet Armstrong, contemplating her life after an unexplained accident is not enough of a “hook” to draw readers into the story from the beginning, author Atkinson then flashes back to 1950, introducing the next chapter “in the middle of things” in London. Juliet Armstrong, then thirty years old, is walking in the city when she sees a man she knows well, someone for whom she worked in the 1940s. When she approaches this man, “Mr. Toby,” to say hello, however, she is met with an annoyed, blank stare – no sign of recognition whatsoever. Having established two mysteries – Juliet Armstrong’s pedestrian accident in 1981, and the failure of a man in 1950 to acknowledge his life in 1940 – Atkinson then flashes back to develop the character and background of Juliet Armstrong. Juliet, the reader learns, had been tapped to work for the national spy agency MI5 while also working at the BBC in 1940. At the end of the war, she continued to work at the BBC while Godfrey Toby, her former boss at MI5, disappeared – to Europe or New Zealand, she thought. 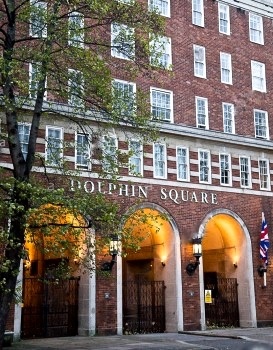 Dolphin Square, where MI5 set up an apartment to spy on fifth column members supporting the Gestapo. In shifting time periods, Juliet first begins to “come alive” for the reader when she enters Moretti’s Cafe in 1950, a place she had patronized during the war and which suddenly inspires vivid memories for her. Her mother had died in a nearby hospital while Juliet was eating her lunch at Moretti’s one day. “Her mother had [always] represented a form of truth for her, something that Juliet knew she had moved away from in the decade since her mother’s death.” As she sits at Moretti’s experiencing flashbacks to her earlier life during the war, Juliet fingers a string of pearls around her neck. “The pearls at her neck were not Juliet’s; she had taken them from the body of a dead woman. Death was a truth, too, of course, because it was an absolute….Best not to think about that.” Still she cannot avoid thinking about Godfrey Toby and the past. After all, “together they had committed a hideous act, the kind of thing that binds you to someone forever, whether you like it or not. Was that why he had denied her now? Or was that why he had come back?” Having now established several new mysteries for the reader to ponder, Atkinson continues to develop Juliet’s life through flashbacks, including her work with Godfrey Toby. 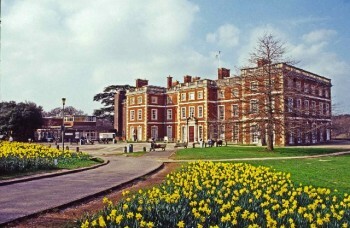 Trent Park House, where MI5 interrogators held and imprisoned Nazis during World War II. The man who interviewed Juliet for her job at MI5 worked here sometimes. In 1940 Godfrey Toby was an MI5 official posing as an agent of the German government, and he had been in “deep cover” for years, attending Fascist meetings throughout the 1930s and becoming well known to the “fifth column” and other Fascist sympathizers and subversives in England – including the Right Club, the Imperial Fascist League, and the British Union of Fascists members. Instead of rooting them out, the government’s plan was always to let them flourish “but within a walled garden from which they cannot escape and spread their evil seed.” Under Godfrey Toby in 1940, MI5 acquires two flats, side-by-side in Dolphin Square to which fascist informants come to report every week. Feeling completely safe with Godfrey, whom they believe to be a Gestapo agent working for the Nazis, the fascists chat each week at his flat, unaware that microphones and recording devices are buried in the walls. Within twenty-four hours of their chats, someone transcribes those conversations. That person is Juliet, who has also been assigned the job of befriending some of the female members of the fifth column in an effort to learn even more about them. 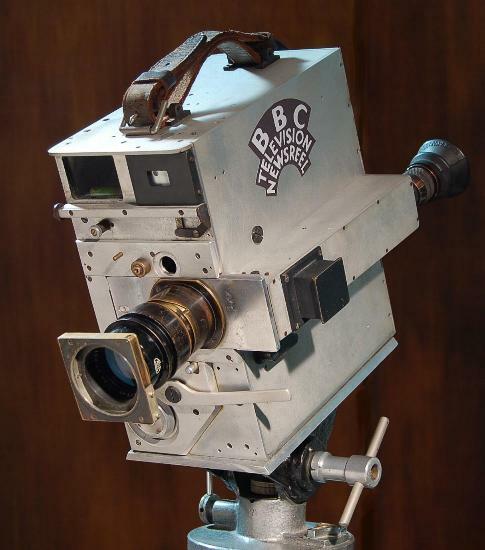 Camera used by the BBC and newsreel companies during WW2. Most of the action, including everything having to do with Juliet’s MI5 group and her social life, takes place in the 1940s – in the first half of the novel. At the mid-point of the novel, the action shifts to 1950 and Juliet’s later career at the BBC as Program Producer for a series called “Past Lives.” More generalized and less compelling, this second half deals with issues other than World War II, and many of the key characters from the 1940 section disappear from the action. The second half does gain some momentum when Juliet receives an anonymous and unexplained message, “You will pay for what you did.” While Juliet does ask herself some questions and does try to find answers in 1950, these scenes lack the intensity of the war-time years. and they feel as if they should have been edited and compressed. Thematically, the novel is a study of illusion and truth, especially during World War II, as virtually everyone is living a lie during that time and its immediate aftermath. In the 1950s section, the novel has less intensity, and while it does have some moments of dark irony, the tension in this part peters out without the kind of thematic resolution one would expect from the subject and its forty-year time span. 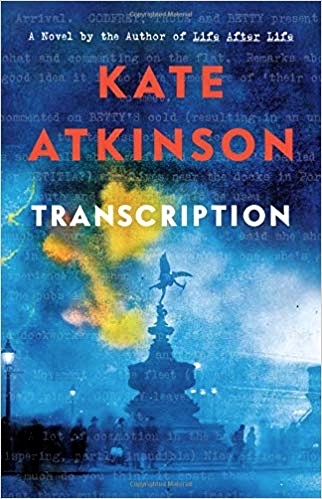 Fans of Atkinson’s work will probably enjoy the novel’s insights into British fascism, though newcomers to her writing might prefer to start with Life After Life, or A God in Ruins.